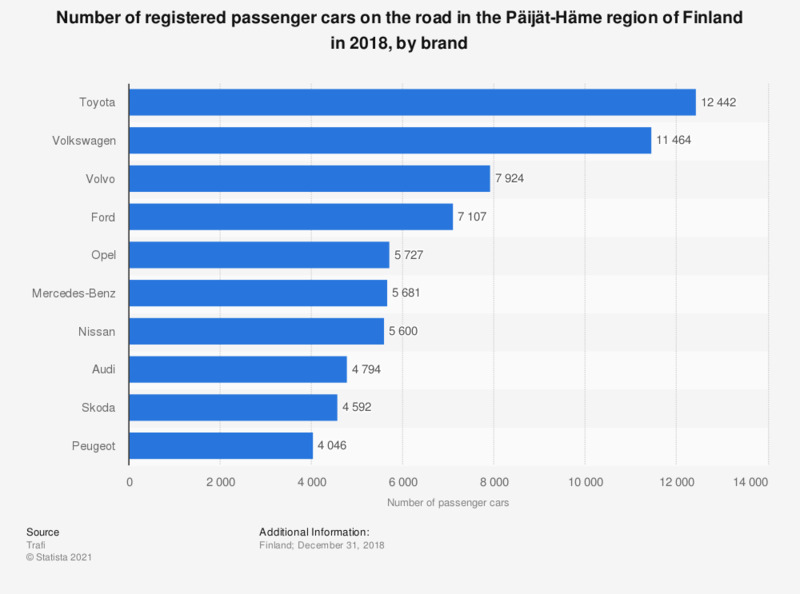 This statistic shows the ten most common passenger car brands in the Päijät-Häme region of Finland on December 31, 2017. Toyota cars were the most common with 12,361 passenger cars registered at the end of 2017. The corresponding figure was 4,571 for Audi passenger cars. * The figures show the total number of passenger cars by brand in traffic on December 31, 2017.